Got chicken burnout? 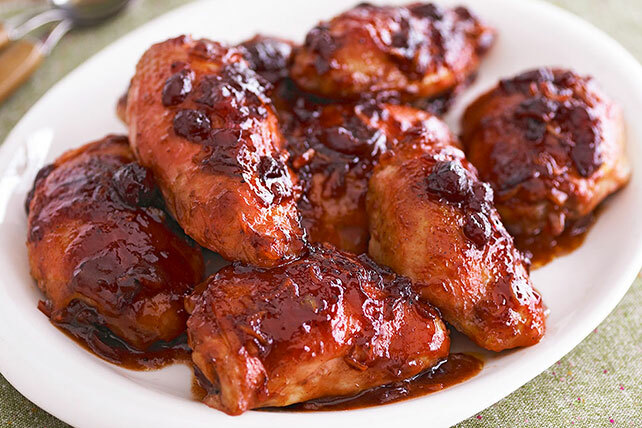 Try our cranberry chicken recipe to revive your faith in poultry. This CATALINA-Cranberry Chicken is tart, tangy & perfect over rice. Place chicken in 2 (13x9-inch) baking dishes. Mix remaining ingredients; pour over chicken. Bake 50 min. or until chicken is done (165°F). Serve with smart sides, such as your favorite hot steamed vegetable and cooked brown rice. Mix and match recipe using the chicken pieces you have on hand or what is on sale. Use all breasts, all thighs or a combination of both. Or, use boneless skinless chicken breasts, reducing the baking time if necessary. Each breast or thigh is one serving.